Why Australia opposes Fair Use. Having just finished this article I fear, once again, for the future. Why? Because it contains a very important message that will, ultimately, get drowned out by all the other important messages we are currently facing both here and globally… but that’s a post for another time. Australian copyright laws always have been considered antiquated. In fact, we are not terribly forward thinking as a nation, legislatively speaking. Copyright is, however, one of those topics that very few people understand and even fewer care about, unless they stand to profit from the proceeds of it. Every study period throughout my undergraduate degree I was approached or pointed to a discussion regarding the unsanctioned use of unattributed copyrighted material for assignment purposes. These questions, and so many others like them, resulted in me banging my head against a non-existent desk or wall, as the people I was attempting to educate gleefully told me that they didn’t care, the law was stupid, and they’d go and use copyrighted material anyway because no one was going to chase them for the royalties for their use of said material. This is why ideas like Fair Use won’t take hold here. 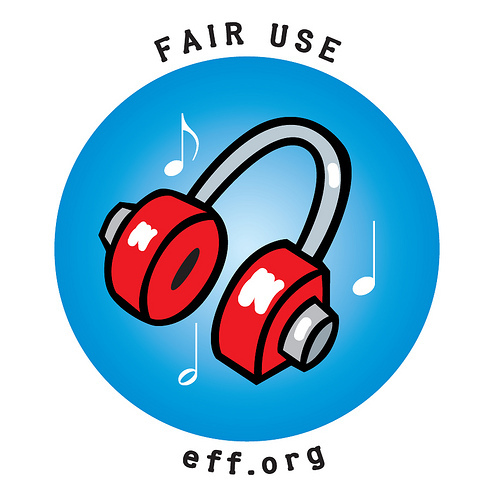 Fair Use is a legal idea allowing people to use copyrighted material so long as the copyright holder isn’t losing out on profits from said use. It’s that simple really. Of course, the real legal mumbo jumbo goes into exclusions and restrictions, but that’s pretty much what it amounts to. Parliament’s a funny place. And by funny I mean disparaging to the human soul. So, as long as the public don’t care that they’re breaking the law and could stand to lose a significant amount of money to an already filthy rich corporation (think of how many times you’ve share a meme based on someone else’s work, or a music video, or copied a line from some book onto a completely unrelated image), or face jail time and as long as politicians sit in the pockets of those corporations that believe they will miss out on all the profits if they allow people to do what they’re already “turning a blind eye” to, then legislation such as Fair Use will never take hold in Australia. Still not sure what it’s all about? Check out the video below for more information. “We Aim To Misbehave” : How The Browncoats Changed the Face of Community as We Know It. I thought it was time to share some of my more academic writing. Here is my essay, presented at the NET204 CommUnity conference, both online and face-to-face. This piece was nominated for a Mr Pointy award. I would like to add that this was written and presented in my first year at university, and that my writing has improved by leaps and bounds since this piece. December of 2002 saw the end of yet another television series. It had run for eleven of the planned fourteen episodes, but low ratings had forced the network to call for its cancellation. It was not the first time this had happened and it certainly was not the last (Browncoats.com, 2009). However, this time was different. This television series had an army fighting for its survival. That fight led to an historic event. Never before in the history of television had an axed television program led to a major motion picture, thanks to the dedicated fans and their efforts. The television show was Firefly, the movie was Serenity, and the fans are the ‘Browncoats’. Through their dedication and use of Web 2.0 applications in the forms of emails, weblogs, forums, social networking sites, wikis, video- sharing sites, and other user-generated content, the Browncoat community pulled together. As Neil Gaiman, acclaimed fantasy author and Browncoat said, “There are people you do not wanna upset in the world … the science-fiction and fantasy fans whose favourite show has been canceled in an untimely way (interviewed in the FIREorg, 2011).” In this paper I shall explain the various Web 2.0 platforms that were used in the fight for Serenity, why it was an important fight, and why communities like the Browncoats are the way of the future. I will argue that a new kind of community building has emerged, neither online or offline, but an amalgamation of the two and that the Browncoats are an example of a true Web 2.0 community, one that bridges online and offline experiences. A community online is, to those who are a part of it, not that dissimilar to that of a more ‘real life’ community (Kavanaugh, et. al., 2005, para. 55). Online participants have more of a “…tendency to develop feelings of closeness on the basis of shared interests, rather than … of shared social characteristics (Gulia & Wellman, 1999, P#5)…” In this case, the shared interest is that of the television program, Firefly. There has been much debate since the Internet, and indeed, the Web became a part of our everyday lives, as to whether or not it has enhanced or detracted from our social interactions. Those of older generations sometimes complain that younger generations would be lost without the Web to make their contact for them (Baytor, et.al, 2009). The fact remains that we have truly embraced the Web, and now Web 2.0 applications, as an essential element of our lives. For fans of television programs, the internet has become particularly integral to finding fellowship and peer groups. Fandom has always had a reputation for being of a more “geeky” basis (Clark, 2008), with computer sciences highly represented in careers of the geek (Svitavsky, 2001). It does stand to reason then, that with the advent of Web 2.0, fans have formed their communities online, rather than in person, and used it to demonstrate that which they love (Karabulut, 2010). The Browncoats first began as an unaffiliated group of fans outraged that their favourite television program was being into hiatus by the very network that had brought it into being, shown it out of sequence and, ultimately, created its own demise. From this, they formed a more condensed presence on websites such as http://www.browncoats.com and http://www.fireflyfans.net in order to bring about a unified front for their fight. This later developed into face-to-face meetings at science-fiction conventions, and other events, across the United States and other countries. In this way, the Browncoats brought together the crowdsourcing capabilities and geographic ignorance of the web spaces and joined it with more traditional community norms, such as presence in meetings and gatherings (Efimova & Hendrick, 2005, P7). It is difficult to think of the web without the simplified and user-friendly Web 2.0 applications that we know today. Email, blogs, social networking sites, user-generated content are just some of the services which are most characteristic of Web 2.0. Designed to make the web a more user-orientated and -friendly experience (O’Reilly, 2005), Web 2.0 applications have made it so that any user, regardless of their technical expertise can pose a challenge to the traditional media producers, by creating and publishing their own works of creativity (Harrison and Barthel, 2009). We see in the large volumes of user-generated fan content on such sites as deviantart.com, youtube.com, Fireflyfans.net, browncoatsmovie.com, fanfilms.net and fanfiction.net (for the Firefly series alone), a tendency of fans to make their own interpretations from the original source material. The Web 2.0 applications that are available give such freedoms to expand engagement with the source of fandom, that new sites and new creations are appearing on the web every day. Firefly was seen as something brand new in the science-fiction television field (Card, 2007). Although set in space, there were no aliens which was something which had not really been done before (Burns, 2007). The focus was not on the science of the science- fiction, but on the stories of the characters living on a spaceship. Firefly was Joss Whedon’s third project for primetime television and after his success with Buffy the Vampire Slayer and Angel, the Fox Network were ready for his new idea, being a mixing together of the original Star Trek, Stagecoach (1939), and Wagon Train (1957-1965) (Cochrane, 2009). It aired for eleven of its fourteen episodes, out of the intended order, in a variety of time slots making it difficult for a fan base to establish itself. However, the show captivated the imagination of a group of people who, upon seeing the first few episodes, had become hooked and wanted this program to continue. They could see the merit, even when the network airing it could not. While engaging in their chosen media in a participatory and productive way is seen to be a clear indicator of a fan (Costello & Moore, 2007, P127), the Browncoat goes that little bit further (Cochrane, 2009). There is an “… intensity of devotion and level of activity distinguishes admirers from true Browncoats” (Cochrane, 2009). As one Browncoat posted in a group forum a fan is someone who watches and likes the show and is disappointed when it is over or taken away, but a Browncoat is a fan activist and will take the next step to keep the show going (po1s, 2010). How the Browncoats Utilised On- and Off-line Networking. As an example of multi-platform fan activism, the Browncoats are the exemplary unit. Letter writing to Fox networks, postcard sendings from Browncoats.com, emails and advertising campaigns in magazines (Browncoats.com, 2009a) all contributed to the backing had behind him when he approached Universal Pictures with his idea of making a Firefly film. While most of this work was conducted from the anonymity of an online presence in a web-based community, there were actual face-to-face contacts made as well, at science-fiction conventions such as Comic-Con (Hadlock, Heppler, Neish, Nelson &Wiser, 2006).Flyers handed out by Browncoats who had volunteered their time to man stands helped to spread the word about the television program which, in turn, brought more members to the community. As more people joined the fold, DVD dales of the television series increased, giving the series more validity in the eyes of a movie investor. Had it been left to a singularly online tour de fource, there would not have been the return on investment seen by Universal Pictures to make the film, Serenity. Web forums were the platform for the majority of the Browncoats work. When Fox announced that Firefly was on hiatus, Internet conversation in the following days and weeks was inevitably displaying anger towards the network (Hark, 2010). Firefly.net and prospero.net were simply two of hundreds of forums that popped up when Firefly hit the air, not to mention the pre-existing science-fiction forums and social networking sites across the web. Forums gave the fans a chance to read responses and reply at their leisure, rather than an Internet Relay Chat (IRC), which was more immediate. Currently, there are over one hundred group pages one Facebook alone that are hit in a search for Firefly. At the time of Firefly going to air, myspace.com and livejournal.com were also still rather active. These also have high numbers of groups registered with Firefly as their main focus, some of them still active today. As well as these forums, many websites arose. Fireflyfans.net and browncoats.com popped up to solidify the Browncoat front, with sites like still-flying.net and cantstopthesignal.co.uk being about the fight to keep the show going or make the movie a success. Regardless of their purpose, these methods of computer mediated social networking gave their Browncoat users a sense of community (Gulia & Wellman, 1999), somewhere they could mourn the loss of the program, get angry, and feel safe to do so because they were surrounded by people of a similar ilk. While some may see the Browncoats as just another group of fanatics trying to keep their favourite show from falling by the wayside, they are the prime example of a community taking what Web 2.0 has to offer and running with it. Jenkins suggests that as the world moves forward from a commodity-based culture to a more knowledge-based one, that we will be forced to collaborate in more effective ways across further distances (Jenkins, 2004). He goes on to say that these collaborations will take places regardless of physical contact and without particular attention to geography. This is how the Browncoats operated. By banding together on websites, they worked together as a team to achieve their goal, keeping the crew of Serenity flying for just a little longer. The Browncoats’ movement best encapsulates Downing’s concept of the blurred line between ‘active media user’ and ‘radical alternative media producers’ (Downing cited in Harrison and Barthel, 2009). By creating their own campaign material, spreading it via the Web, they were the media producers, bypassing the traditional avenues of media production and consumption. In the making of Browncoats: Redemption, a fan film for charity, fans used crowd-sourcing, a typical Web 2.0 platform, to spread the word of their endeavour and to gain support. Even beyond the fight for Serenity or Firefly, the Browncoats still use Web 2.0 applications, in the form of social networking sites such as Twitter, to spread word about Firefly-applicable situations, such as in the case of Professor Miller’s fight against on-campus censorship (TheFIRE.org, 2011). No other fan-based group has embraced Web 2.0 applications and platforms and used them with such ferocity. With Web 2.0 removing the distance between producer and consumer of media, through the affordability of the means for production as well as the access to means of distribution, we are forced to reconsider how we view production and consumption of media (Harrison & Barthel, 2009). No longer are they strictly separated. We have entered the world of the ‘prosumer’ (Ritzer & Jurgenson, 2010), those who can challenge the big companies and triumph. Fan activism is not new, but having greater access to the world via Web 2.0 platforms, they are able to have their messages heard by more people and communities can come together regardless of geographical boundaries. This can be harnessed by companies, as in the case of the advertising for the film Serenity (Affinitive, 2005). As the now instantly recognisable theme song, written by Joss Whedon himself, says, if that which is loved and held dear is taken away, there will be somewhere that people will still be able to stand; you can’t take the sky from the Browncoats, they will simply refuse to lay down arms. Burns, M., (2007). Mars Needs Women, in Serenity Found: More Unauthorised Essays on Joss Whedon’s Firefly Universe (Jane Espenson, Ed.). Smart Pop: USA. essays on joss Whedon’s Firefly universe (Jane Espenson, Ed.). Smart Pop: USA. Hadlock, T., Heppler, J., Neish, J., Nelson, J., & Wiser, B. (Directors), Baldwin, A. (Narrator). (2006.). “Done the Impossible”. DTI (Done The Impossible). DVD. Wilcox, R.V., (2010.). The Aesthetics of Cult TV, in The Cult TV Book (Abbott, S., Ed.). Edward Brothers:USA. aka: information on how to apply for Honours. 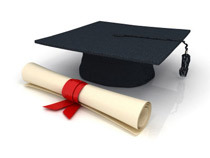 Last year I completed my undergraduate degree in Internet Communications with Curtin university. It was a great achievement. For someone who attempted year twelve of high school twice, dropping out at the half way point each time, I never truly thought I would get this far, let alone consider a future in research or further education. This month has seen me make some changes to my life so that I can enroll to do my Honours year on campus instead of the external online study I have been doing up until this point. It will be another first for me, as I have not attended a single class in a real life university (unless you count a day course in Old Kingdom Egyptian artifacts I did when I was 15). Turns out, applying properly is not so easy when you haven’t already been studying on campus. Certainly not when there is no information online and no one on campus actually really understands how your degree is awarded or what is needed to get you where you need to be. I spent the better part of a day last week finding out exactly how NOT to run applications for enrollment to an Honours program. I drove to campus, parked my car and went to find my way to Student Central. On the way, I happened to chance upon a printed A4 piece of paper informing students that there was an information session being held for student on Honours program from 10-3pm. This was not posted online anywhere or publicised. I thought this would be a better place to start my search for information, so I used the campus map app I had downloaded the evening prior to find my way. It wasn’t that far away, thank goodness. The temperature was already rising and I am very much NOT a summer person. I sat through the questions asked of the coordinators by a few arts students and one journalism student, only to find none of them answered any of the questions I had hastily prepared myself on the way from the car park to the lecture room. I waited for the other students to leave then asked my questions, namely “what did I need to prepare” and “how can I find out more information on what the process is, as no one has been able to tell me everything?” Turns out that on campus students normally have lengthy talks with teachers who can offer the majority of information required for their enrollment paperwork: things like how to choose a topic and supervisor and what necessary paper work is required in order to successfully enroll. I was then directed to Student central, which was where I was originally headed in the first place. I walked through the sweltering campus, heat radiating off the mostly brick and concrete buildings. I took my ticket and waited for my number to be called, despite being only one of two people to be waiting to be seen. The first person who saw me was new and had no idea what to suggest, called someone else to help me. I took my seat and waited for them to come out. They too had no idea what to tell me, so had to go and check with yet another person and come back to the meeting room, only to inform me that I had to direct my queries to the humanities student services. The building for this was next to where I had been for the information session. Needless to say, I was not impressed. It’s a good thing that I carry water with me everywhere I go. Once I had spoken to someone int he humanities building about what was required to actually submit my application (intent to graduate, application for enrollment, marks for completed units, and my thesis proposal) I walked to the library to print and fill out a form I had not been informed I would need. I am still waiting for my final unit marks to be released by OUA (this should be happening sometime this week), and to complete my thesis proposal (which I have only just now found the information regarding the format for), return to the campus to have these join my application, then sit and wait for my offer. I know I exceed the minimum entry requirements and I know that no one else will be studying my topic, but the running around, waiting and more running around is soooooo going to be worth it when I walk across that stage either at the end of this year or early next year. For more information, or contact details, head to Curtin University’s website for more details. 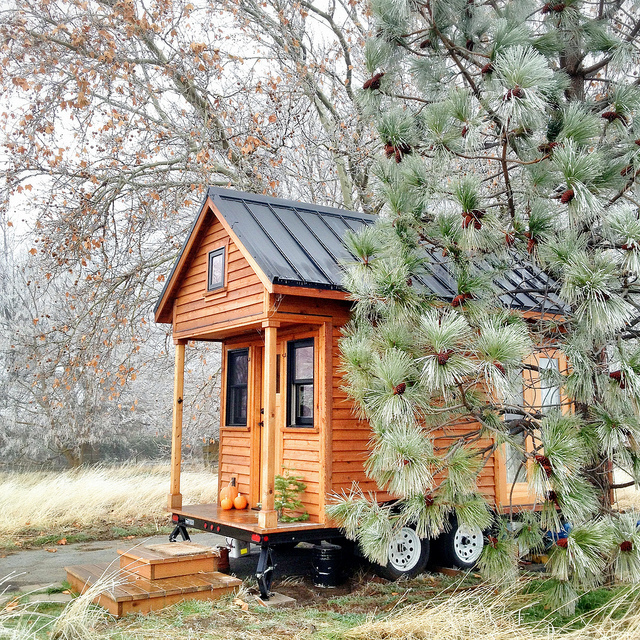 It’s a Small World Afterall – Tiny House Movement. Houses seem to be getting bigger and bigger until they take up most of the block of land they’re on. No room for kids to play. No room for a shed. No room for gardening, which is okay because with climate change and water restrictions, it’s not like you could keep anything alive anyway. That was until I was this website yesterday. The Tiny Life is a cause I could really see gaining momentum. The cost of living is always increasing, but it seems we are having to stretch the dollar further and further these days just to make ends meet. Demands on housing mean pretty soon the “1/4 acre block” will become a thing of fantasy, or the exclusive domain of those with an endless supply of cash. It just seems to make more sense to me to live small. At the very least it means less space to keep clean! A house on a trailer is the land equivalent of a houseboat, without the constant holiday feel of living in a caravan. Brilliant! Not to mention that it seems to me to be a highly sustainable way of living, requiring less resources and making less impact on the environment. All in all, it would be lovely, and I think I may have just changed my plans for the future. Would you be able to live like this? Could you live off the grid and on a trailer? Let me know! 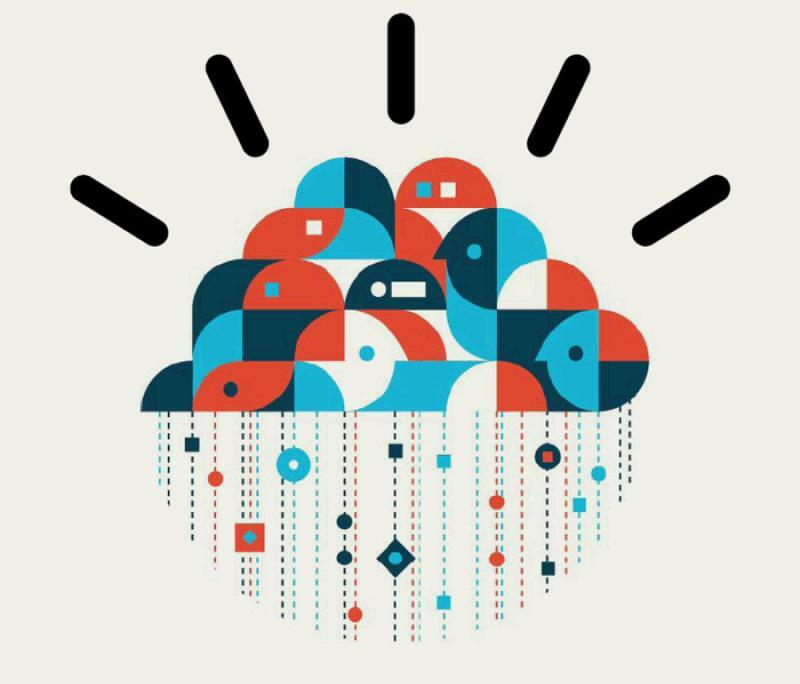 The Cloud is not as safe as you think it is. We have all been taken in by the romance of the Cloud. Not longer do we require terrabytes of storage for our documents, hooked up to our desktop computers. This has been one of the most important steps in freeing us from the shackles of our desktop machines, bringing about the rise of the laptop/tablet/notebook/iDevice/miniwhatever. But, and it’s a very big but, is all that information you’re transmitting and sharing through the Cloud as safe as you think it is? Short answer: no. Take, for example, the case of Dan Tynan. Dan was one of hundreds of people using the Cloud to store and share files for work purposes. Through sheer bad luck and a series of seemingly minor errors, his entire cloud-based drive was deleted. In a flash, his entire collection of work documents disappeared. Not only would this have cause hours and dollars in trying to reinstate all the documents, but he could also have been held in breach of contracts he had with companies who included clauses stating he was required to hold onto documents for a period of time, in case of a lawsuit. Well, surely this couldn’t happen to anyone? It’s just a rare occurrence, I hear you say. Ha! Between operating system updates deleting your back-ups, the Cloud being blamed for loss of jobs, messy court cases over who actually owns data and if anyone actually has the responsibility of returning data, and Symantec “discovering” that apparently 43% of users lose data in the Cloud, it’s little wonder that more and more people are choosing to turn away from cloud-based computing and return to physical and local storage of data. Sure, it may not be “cool”. It may mean having to organise an off-site backup for really really important data, just in case. It may even mean investing in a fire-proof, water-proof safe for storing … *shudder* … back up copies, but anything has to be safer than someone you have never met having control over your information. This is an incomplete list of some of the things I believe in. There’s no real point to this post, other than to categorise myself as someone with a very complicated belief system and perhaps let others realise that their belief systems don’t have to necessarily make sense when viewed as a group. I believe science has done good, and bad. Scientific advancements have done some incredible things for society. It has also done some very bad things for humanity. Take the atom bomb for instance. It started as an endeavour by Einstein to produce essentially free, seemingly inexhaustible energy for the world. Then it got turned into one of the most destructive forces on the planet. Now, some might say that it was the human factor that turned good into bad. I’m still undecided on this opinion. I think that yes humans were definitely the factor that led to the atom bomb, but it was also the human factor that developed the idea for good in the first place. I believe in the universal divine. I think there is an essence of divinity in everything. Everything. Every human being, every animal, every plant, the sky, the sea, the dirt, cars, buildings. Everything. Everything is a reflection of a facet that which created it, and so there is a sense of magic and beauty in that that just cannot be explained… yet. Perhaps science will lead to this answer. I’m just not sure that I would necessarily want the answer presented to me. 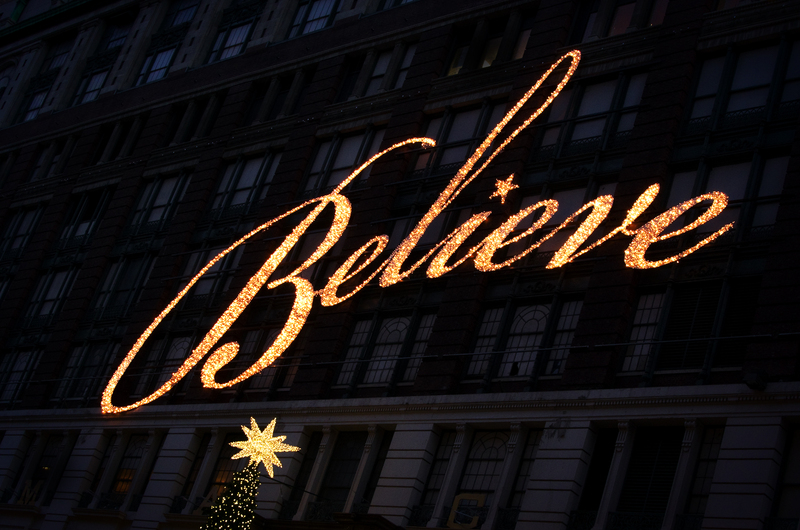 I’m sure I would embrace it and find a way to coalesce it into my belief system, but all the same – I like to hold onto the childlike naivety that belief in something beyond myself provides. I believe all knowledge is worth having. Good. Bad. Indifferent. All knowledge is worth having, or having access to. With more knowledge, you are better positioned to make better decisions regarding yourself and others around you. Lack of knowledge can lead to poor choices that have far reaching ramifications beyond what you can possible foresee. Even the information that makes you sad at the time of gaining is worth having. Would I want to know if a partner was cheating on me? Absolutely! Would it make me happy to know it? Definitely not. IS the knowledge worth having? 100% yes! Having that knowledge would allow me to be better positioned to make a decision regarding the continuation or discontinuation of the relationship, based on other information regarding the situation. I believe that climate change real, but that humans didn’t cause it. Sure, our activity on the planet – burning fossil fuels, digging the face of the planet to pieces- certainly didn’t help abate the process of global warming. I think it was inevitable that the climate of the planet was going to change, as it has in the past, but that human activity has sped up the arrival. I see people who deny that climate change is real and that they shouldn’t have to change their ways as idiots. How is changing your habits and consumption to make the planet a better place a bad thing ever?! Using less, recycling and reusing more is only going to make the world and humanity better. With such a small percentage of the population using such a large percentage of the world’s resources, it just seems senseless to argue that you shouldn’t have to change your habits to benefit someone else. Leaving the world a better place for generations to come is a good thing, regardless of whether or not it will affect the degree to which climate change occurs.